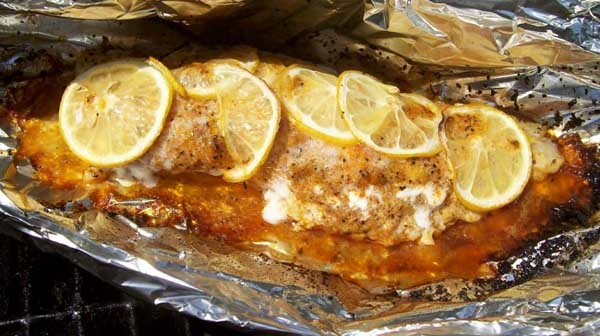 Here’s How you can make a foil fish boat for easy grilling! 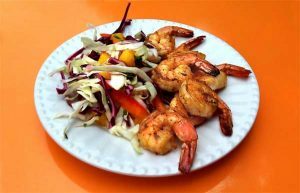 I love foil cooking hacks and this is a recipe and technique that I use to cook seafood and shrimp on the grill. I use a ton of foil on the smoker when finishing off some butts and ribs. However, I’ve started using foil over the years for just about anything I cook outdoors. Ally asks me every time we go to the store if I need some foil. I started using foil wraps mostly with Boston Butts and Pork Ribs. Then other meats followed. The method is simple. In some cases I brown the chosen meat but do not fully cook it. I then sprinkle with a few additional seasonings or a dab of butter and wrap the meat up. I then toss the wrapped package onto a cooler part of the grill. Just let it steam in its own juices as it finishes. 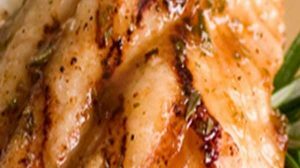 It’s an amazing way to do chicken, pork chops, and tenderloins. A few months ago my wife Ally had to take a long business call just as I was plating some steaks. I hit them with a few pats of butter, wrapped them up and moved them to the coolest part of the grill. I admit that the pink was gone for a medium well steak but the method kept them hot, amazingly tender, and more than juicy. It’s slightly different with fish and shrimp. 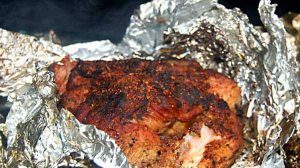 You can either make a fully wrapped pack or create a little boat of foil, a grill top skillet of sorts. Hit the foil piece with some non-stick spray and then place your fillet or shrimp in the center. Fold the sides up to form an opened topped boat around the seafood. Pinch the opened ends firmly shut but leave the top open. The foil boat keeps the fish or shrimp from sticking to the grill and you don’t have to worry about smaller piece breaking apart of falling out of a grilling basket. The beauty is that you can move the pieces around with ease in case one item is cooking faster than the other. You can cook with the pack opened or pinched closed. The picture is a Swai filet with basic seasonings, and fresh lemon juice, a yogurt marinade, and lemon slices. Hope you enjoy the tip. 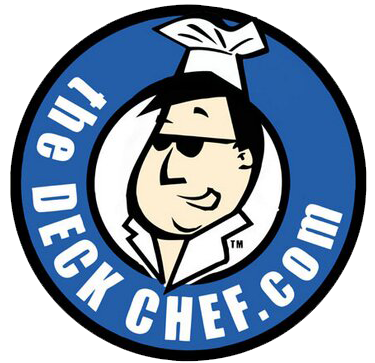 I would love to hear of some reader easy outdoor cooking tips.